Gillian Marshall (pictured), Jacqui Miller-Charlton MBE, Sandra Thompson and Ryan Maughan bring vast public and private sector experience to the board, having reached the top in their respective industries. Their appointments continue a rich vein of business talent who have committed their time and expertise to the LEP. The North East LEP business growth board is crucial in making sure that the support and finance exists that enables more people to start and scale up their business. The new members will replace outgoing members Julian Leighton, Allison Thompson, Rob Earnshaw and James Hall. In addition to the latest changes, Mark Thompson – managing partner of Ryder Architecture – will take over as chair of business growth board –from Paul Varley. Andrew Hodgson, North East LEP Chair, said: “We are delighted to welcome four exceptional business people onto our board whose skills, expertise and business insight will be crucial at a time of great challenge for the North East economy. “Their experience of business at the highest level will bring clarity of thought and oversight which will help us in developing our clear programme of activity to support growing and scaling business. Gillian Marshall – chief executive of the Entrepreneurs’ Forum which has an exceptional record of supporting the region’s growth agenda. It brings the North East’s entrepreneurs and business leaders together, providing the opportunity to learn, share and create opportunities to boost wealth and job creation. Gillian is a successful executive working within business support and finance across the UK. She has extensive knowledge of public and private sectors, including international trade and finance. Jacqui Miller-Charlton MBE – A business professional with over 33 years of operational experience. She is the main board director and shareholder of Miller International Limited, one of the leading privately owned global attachment manufacturers supplying the world’s largest construction machinery brands. Jacqui has an outstanding track record of leadership in sales, marketing, brand creation, commercial negotiation, business development and international growth strategy. Sandra Thompson – Newcastle partner at accountancy group EY. Sandra is currently UK Audit leader for entrepreneurial and fast growth businesses at EY and will be taking on the role of Office Managing Partner for the Newcastle office in July 2017. Originally from Northumberland, Sandra brings with her over 25 years’ experience in audit and accounting. 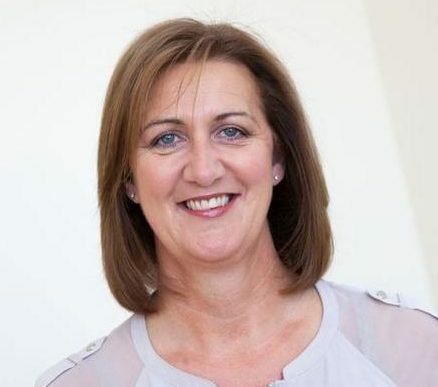 Working mostly with ‘Big Four’ firms Deloitte, PwC and EY across the UK, Sandra was also previously Group CFO of an AIM listed business, Digital Globe Services. Ryan Maughan – managing director of Cramlington-based AVID Technology Group Limited. Ryan leads a talented team at AVID, developing technology solutions to improve the efficiency and emissions from vehicles and machinery through smart electrification. He has vast engineering experience in high performance motorsport and precision component manufacturing sectors. Ryan has led acquisitions and disposals of business units to major corporates and also successfully raised business funding across a range of industries including oil and gas, chemical process, defence and electronics manufacturing. Of his new role as chair, Mark said: “I’m delighted to have the opportunity to build on the foundations established under Paul Varley’s leadership.